“Birdman” (or “The Unexpected Virtue of Ignorance”) is an imposing, intelligent, visual-masterpiece. The twisted dark comedy plot infused with impressive cinematography, and strengthen by strong casting has made "Birdman" a masterpiece. The unforeseen scenes and surreal images lingers as the plot reaches a tighter grip to the attention of the audiences. The visual dialogue of the doors and continuous pathways/streets will guide you as if you are dancing with the actors and coexisting with their scenarios. There are scenes where you seem to be guided somewhere, then something suddenly happens and your emotions have been slapped by something more powerful. The film increases your anticipations of the next scenes and gives you more than you expected. The reality of the unreal was blurred using the captivating images of dreams and subconscious. One moment you knew that it is possible and suddenly “Birdman” would make you think twice, questioning what has just happened? The flawless transitions of the surreal scenarios reminded me of the brilliance of "Black Swan" and the energy of "The Secret Life of Walter Mitty". The film is visually a work of art with its masterful execution. The musical score was superb and surprisingly clever in many parts of the film. (It includes an ordinary shattering glass, a familiar sound of drums, the raindrops or the murmuring audience and footsteps of people passing by) Most of the time it brings a smile into the viewers and in some parts it also heightens the tension of the scenes. What I love most is the unpredictability of the film. It started interesting and ended fascinatingly perfect. Michael Keaton stars as Riggan, an actor who used to play an iconic superhero in the blockbuster franchise ‘Birdman.’ After years of playing the masked superhero, Riggan eventually decides to reinvent himself by starring in a play that he has written and will direct himself for a much artistic higher aspiration. The movie’s stellar cast include Zach Galifianakis as he plays Jake, Riggan’s best friend who also acts as his lawyer/publicist who produces the play and casts an eclectic mix of known and unknown actors to play Laura (Andrea Riseborough), Leslie (Naomi Watts) and Mike (Edward Norton). Emma Stone joins the seasoned cast in the movie as Riggan’s daughter who has just been out of rehab and has become his bridge in today’s social-media driven society. However, with Riggan’s ego and unresolved family issues standing in the way, the task to debut on a stage play becomes more complicated as its debut nears. 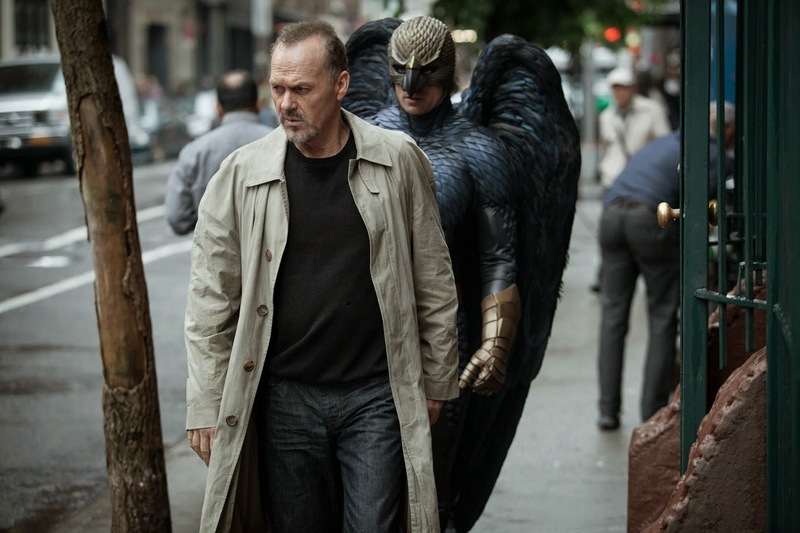 “Birdman’s” cinematographer Emmanuel Lubezki, shares that the camerawork and editing were manipulated to give the appearance that most of the film is one continuous long take. The screenwriters have also shared that the long take approach was part of Iñárritu's initial idea behind the film although "huge" and "important" people warned them not to write it and shoot it that way. The camerawork, which depicts most of the film as one continuous take, was met with unanimous acclaim for its execution and usage. “Birdman” opens this January 28 from 20th Century Fox exclusive at Ayala Malls Cinemas nationwide.